UI – Part 101 – Sharia, US Constitution, Incompatible – Wake Up! Wake Up! Would you believe it if I said: “Islam cannot work in America?” No devout Muslim could live in America. Our Constitution is fixed (supposedly), established by the Founding Fathers as the Law of the land – unless of course the Supreme Court Justices take the law into their hands. If the Justices decide to make law, which they have done (unfortunately), instead of uphold the Constitution, then conditions might change, but until such occurs (which would be a travesty and a violation of the people’s trust in our Constitution) Sharia cannot be part of America. That being the case a Muslim could not live in this Country and be obedient to Allah. How is that for a conundrum? Muslim Islamists instead of attempting to change our laws should simply leave; otherwise they are contradicting their own claims. They only stay, if you give it some thought, to cause trouble. Their Agenda must be understood and fully considered in any legal pursuit in support or in opposition to Islam in this Country. Note the following from Act for America. The reference to the “Shura” is that of the 42nd Sura of the Quran (Al-Shara: The Counsel). From Wikipedia: “Shura is an Arabic word for “consultation”. It is believed to be the method by which pre-Islamic Arabian tribes selected leaders and made major decisions. Shura is mentioned twice in the Quran as a praiseworthy activity, and is a word often used in the name of parliaments in Muslim-majority countries.” “Ummah” is community of Muslims. As a Community Muslims must obey Allah, and thus cannot obey the Constitution of the United States or, frankly, any democracy. The Ulema, the Islamic scholars, decide for the people. Their judgments, interestingly enough, can vary from case to case. The same circumstances may have different outcomes, based on the interpretation of the scholar. Consultation can only be with the Quran, not the Constitution of the land. As democracy, according to the claim made above, gives a free reign to the Ummah, or the ability to establish ‘civil law’, then divine right is being ignored and thus not followed. This is wrong for a Muslim (at least an Islamist). Any Muslim that remains, accepting our system, not exercising Taqiyya (lying to promote Islam), is subject to the same punishment as an apostate of Islam – at least in the eyes of the Islamists. Islamic Law (Quranic Law or Sharia Law, call it what it is or you prefer) is to be the legal law of the land of the Muslim (that is not the Constitution nor civil law) and the community can decide political issues, that is elect officials (possibly) or revolt to change governance (depending whether your are Sunni of Shia). Understand, all Americans and those desiring to be free, equal and living in a pluralistic society, Islam does not allow for what you desire. The Quran does not propose that people, all, men and women, etc., are equal. Sharia Law covers that – no equality. No equality = no democracy. The constant you read when reviewing Islamic material is the term “if Allah Wills”. What will happen will happen not because a scientist or philosopher considers events, facts, or repeated observations in drawing conclusions, it will happen for the Muslim, the fundamentalist, because Allah Wills – it has All been revealed. Natural laws are divine laws, the Will of Allah personified, not to be considered. Thinking is forbidden as it would subject Allah or Muhammad to doubt. Forget Human Rights, not applicable for a Muslim under Sharia – it is all as stated in the Quran – and that then becomes a Constitutional conflict. All the power is Allah’s. All power is in the hands of the authority. Islam has been refered to as “An Ideology of Power.” Nietzsche-like if you think about it. Consider Muslim dominated areas, it is about power – Allah is tyrannical, leaders are tyrannical, power begets power. There is a lesson to be learned by all free people in this. For Islam God (Allah) is not Logos. For the Christian it is much about Logos. Logos is Christ. Reason, rational thought, the mind may be God’s greatest gift, to be used, engaged and applied to having a relationship with God. For Islam all you need to do is Obey – Obey Allah. It is about Submission. Without natural law man is stunted in developing rational laws that may benefit the common man; and for the Muslim then the Law is only that of the Sharia. No need to engage the mind of man. Surrender to fate, the order of the Sharia, or despair in the Will of Allah. Power supercedes reason. The power of Allah as then transmitted through the Islamic scholars and leadership – the Sharia Law. Al-Ghazili may be the greatest Islamic personality since Muhammad and his writings have influenced greatly the elimination of rational thought from the Muslim doctrine. Look up his name on Wikipedia. His presence is found in the methods employed in the majority of the Muslim world, in the Sunni and Whahabbi (Saudi Arabia) mindsets, and the Ulema that tell them how to act. From the Act for America reference prior it is clear the AMJA, the Muslim Jurists of America, oppose Democracy. They have established their platform and in the USA will work to effect change of all laws to comply with Sharia. Is that what America wants? The telling clause is sura 42:35, “And those who dispute about Our messages may know. There is no refuge for them.” For the Muslim the Kingdom of God is an Islamic Kingdom. The affairs of an Islamic Kingdom are carried out by the ’Counsel’ – the Shura. The Shura can legislate only by the Quran employing Islamic Law; the US Constitution must be eradicated for Muslims in America as Sharia and the Constitution are incompatible. The Constituton is more compatible with the Bible, as reason can be, was and is used to decide matters; the Constitution cannot be compatible with the Quran or Sharia, as it must then be compatible in total with the Quran, and reason is trumped by revelation. The New Jersey judge noted in the prior paragraph was wrong. He allowed himself to become a victim, corrupted, by Islamic law, ignoring the civil laws of the United States. Beware of the nature of Islam and its desires for where they lay their heads. Whether in America, France, the United Kingdom, and especially in other democracies, organizations like and similar to the AMJA will promote Sharia Law and take the position as a minority, the abused, and appeal to the members of the legislatures that they need to be protected. Islamists protection comes in the form of un-Constitutional protections and Islamic Law adopted wrongly by judges. The Judge would be, by acceeding to Sharia, adopting the Quran as the foundation of Law; ignoring the Constitution. Know what is happening and Understand Islam; Islam’s potential to restrict the freedom of any non-Muslim is clear. They will also attack and work to subject moderate, tolerant Muslims, those who accept pluralism and detest terrorism, in the name of Allah, as wrong-headed and not obeying Allah. The history of Islam and its people already proves the point. From the Mu’tazilites, even the Sufi’s, where reason is applicable in interpreting the Quran, to unlocking the mystery, condemnation prevails. Writings and documentation of their thoughts (heaven forbid ‘thinking’) have been destroyed (but not totally eradicated) and minority groups continue to embrace the mind as a useful tool to see peace and progress in the world. Even Cordoba, famous for the advancement of a scholarly, thinking, scientific Muslim, has been left behind, criticized and found to be non-fundamental-Islam. If this is Islamaphobia, so be it, it is a concern for any encroachment on the Constitution of our Nation. Religious Freedom does not suggest the imposition of other that the civil laws of this Nation on its citizens. Let Resaon be the reason we resist Sharia Law, Islamic Law, and the paranoia and demands of the Islamists to respect them. How can we respect those that think not, and how can they criticize others as it would require thought, in disobedience to Allah. They must rest in peace with Allah, as Allah Wills and await his will. There is no need for terrorist acts as that would suggest consideration given to facts beyond their capability. For the Muslim the mind is a useless thing. I feel they have proven that conclusively for themselves, out of a strict requirement to obey and never doubt. Those that think, are aware of the world and its creator because they have a mind, a conscience, and think, as was the case for Descartes. Thanks be to God. Protect and defend the Constitution. Elect Presidents that will appoint those who love the Constitution and will defend the Constitution. Do not elect Presidents that will appoint overtly-liberal, pro-active people who want as one of the 9 Justices, not elected by the people, to make law, even when the popular vote of the people, the majority, says no. These activist judges are using the bench to enact laws that reflect their personal preferences and not that of will of We The People. This happened on Abortion. It has happened on religious freedom, such as the use of prayer in public places, and other issues protecting sexual preferences and the like. Let it not continue. The Islamists may have their eye and focus on the United States Supreme Court Justices. They may see them and their recent habit to enact laws in deference to the Constitution as the Counsel. This is quite a nerve-racking thought. The Islamists want the United States Supreme Court to be the Counsel for Islamic law to be promulgated in the United States. If we are not careful and do not vote responsibly this could happen. Heaven forbid. The Supreme Court Justices would be used to make personal decisions based on their knowledge of, possibly, the civil laws of the United States, the Constitution as they interpret it, and the Quran as it is imposed upon them through liberal left thinking zealots, outspoken and self-righteous Imams, the media crying out against any perceived persecution of Islam, and the loudest and most political voice of the Islamist organizations (such as the Muslim Brotherhood, C.A.I.R. and the variety of sub-organizations or splinter groups they establish) formed in the United States. By the Grace of God we have been Saved. By the Love of God we are asked to volunteer to follow his command. Let not the torment of Allah and his want to be loved, as a requirement, destroy civilization. If Muslims desire Sharia Law and want to obey Allah and not the civil laws of the Country they have chosen to move to or reside, let them do it in another Country, one which already has the laws in place that they must obey. Allah never wrote a law, only man did. Allah, if he is God, is not the judge, but the one who inspires. It is man than alters the good of man by enticements that cater to our sinful nature. Using Allah as a means to control others is wrong. Sharia Law is wrong. Let the good of the laws of God, of Allah, be incorporated into the civil laws, the laws designed for the common good. That is the case for the Constitution of the United States. I am not an advocate of burning anyone’s religious book. But after all it is just a book. I am not in favor or burning a country’s flag. I am not in favor of burning effigies of world leaders. Burning and fire are symbols of Hades. As the devil would resist being burned, resist with all the evil he can muster, then too the lack of understanding and the creation of more than what it is by the burning of the Quran by a man named Jones is only an excuse to murder others, to kill. The rational for such heinous acts and the terrorist, murderous acts themselves, is the greater wrong. It is the greater sin and the greater disobedience to Allah or God. Historically where there have been Muslim theological debates “the losers books were usually burnt.” (pg. 20, The Closing of the Muslim Mind, by Robert R. Reilly, 2010, ISI books, Wilmington, Del). So buring books of believers is not new to Muslims, Islamists; it is just offensive when it is their book, or a book to which they adhere. They even have no problem burning books of other Muslim scholars if their scholarship is not in accordance with their own. Do they lack reason? Our Media has distorted the claims being made. Jones has become the victim. Sure he was wrong from a rational perspective. The Media should have ignored his actions. And the Media now should be condemning the crimes being committed in the name of Jones lit match. Such killing is the greater crime; it did not take the burning of a book, the call to kill another, to actually commit murder; it takes the person that pulls the trigger. That person or persons is crazy, evil, and disturbed. I can safely say that all terrorists who cry out “Allahu Akbar”, or the like, when about to destroy themselves and many innocents at the same time, causing senseless damage and the need for costly repairs, I can even assure them no matter what they have been told, what Imam, Ayatollah, Ulema, Islamic Scholar, or political Islamic leader told them, when they face God they will get the punishment for the evil they committed as they deserve. The will find the fire of the match lit under them. May there be more sensible minds in the world than those who stream vile claims of persecution for meaningless, though dramatic, statements of extreme differences with other viewpoints by taking up a gun, or knife or Molotov cocktail to destroy innocents as their expression of retribution. It has happened over lesser issues than the burning of a Quran, such as cartoons, and films, books, over the free expression by others of their opposition, their conflict with and questioning of the logic, and the oppressive nature, of Islam. A Muslim cannot take a joke – it arouses their want to kill; their sensitive nature that who they are, what they believe, can possibly be challenged. That is not what God or Allah would expect of his people – those considered godlike. And if I am in error and it is what Allah would expect, then Allah is not God. Blessings to those who are free. Let others know, verbally, how you feel. Be not like the bomber on the train, on the bus, or in the plane that cowardly destroys the lives of others for a cause that makes little sense – and certainly is not what God would have man do. One final thought. As a Christian, God influences how I live. Knowing and living by his Commandments is his desire. Through the Bible I am able to develop a relationship with him; I am aware of his ability to judge and his right to judge. I know too that if I do not fully satisfy a Commandment his judgment awaits. I also know I am not perfect and can never meet his standards; thus I am condemned. His judgment will occur when I die. In the interim I lead my life as a believer striving to do as God wishes, knowing and thankful his saving Grace provided by his sacrifice on the cross has made it possible, with repentance on my part for my regrettable ongoing sinful acts, to receive the fullest consideration for a life eternal with him. Jesus has become my advocate in the courthouse in which God presides. He took the punishment I deserve. Man cannot mete out the punishment for God. Man can only establish laws protecting all citizens from each other. We can only sense, explain, share our thoughts on how God might judge a given situation or circumstance. I believe in Him. As a Muslim Allah’s influence, that also of Muhammad, has implications for living, being obedient and observant of Allah’s pillars. Judgment, as I see it, comes from Allah. As with God that occurs when you die. How you lived is then judged. Man living, on earth, is not the judge. Man may use you and convince you otherwise, but you must know that only Allah can judge. Earthly man is to protect all people, the common man, the common good, regardless of the God or the Allah you choose. The Shura can only be the Counsel for you (an internal reminder), guiding you and your life, not in the taking of another’s life. The Shura is how you elect to govern yourself personally. Be guided by the Quranic principles but do not use them to commit evil against another individual, and especially not in the name of God. If that is not the interpretation then you are reading a document written by man for man’s purposes. Man’s purposes include control, suppression of others, the oppression of others, creating wealth for themselves, coveting whatever they wish, and protecting their fiefdom using a document prepared by a band of companions that wished the same for themselves. There is no advocate, such as Jesus, for the Muslim. 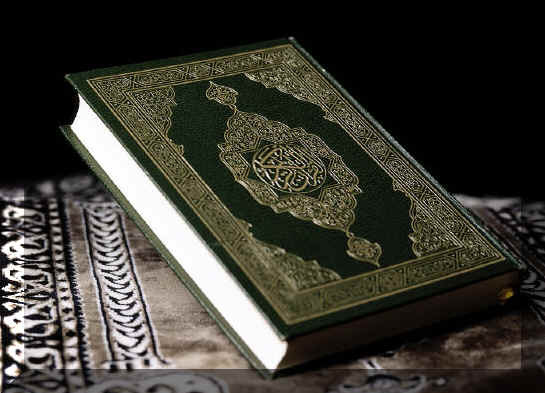 The Quran suggests ‘works’, good deeds as a measure of one’s acceptance by Allah into his eternal compound. Consider believing, having faith, do you have it by obeying the laws? The righteous will live by faith. Living by the law alone you are cursed, never to find redemption. Please, do not allow yourself to be a prisoner to Quranic Law. God grant us understanding and clarity of thinking. Know God. We are all sons and daughters through faith in Jesus Christ. you have a ton of excellent writing at this blog, have you thought about repackaging some articles for other websites ? I am not certain what you are suggesting. More than happy to share my opinions and research on other sites. Is this a means to direct other sites to my blog?